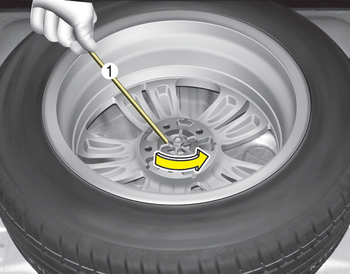 If it is hard to loosen the tire holddown wing bolt by hand, you can loosen it easily using the jack handle. 1. Put the jack handle (1) inside of the tire hold-down wing bolt. 2. 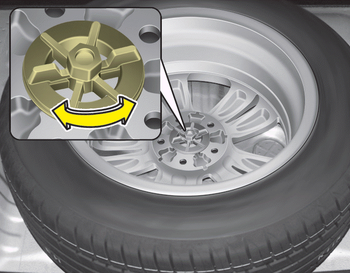 Turn the tire hold-down wing bolt counterclockwise with the jack handle.